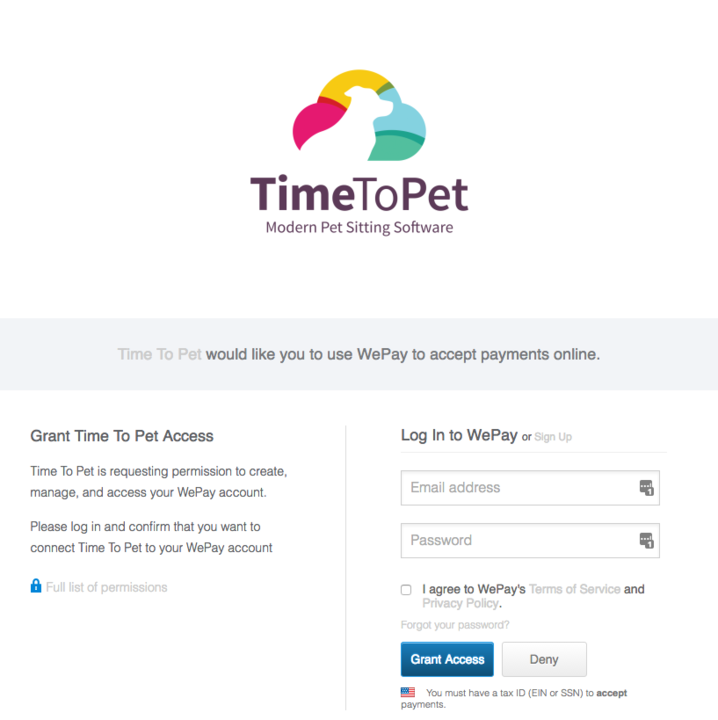 Connecting to WePay is very simple in Time To Pet. The first step is setting up credit card processing. Using the sidebar navigation select “Settings”. Click the link labelled “Credit Cards” in the sidebar. If you are already connected to a payment processor, you would need to disconnect your TTP account from them as only one primary processor can be active at one time. To get started, click the Connect with WePay button. You can then login to your existing WePay account or Sign Up for a new account. 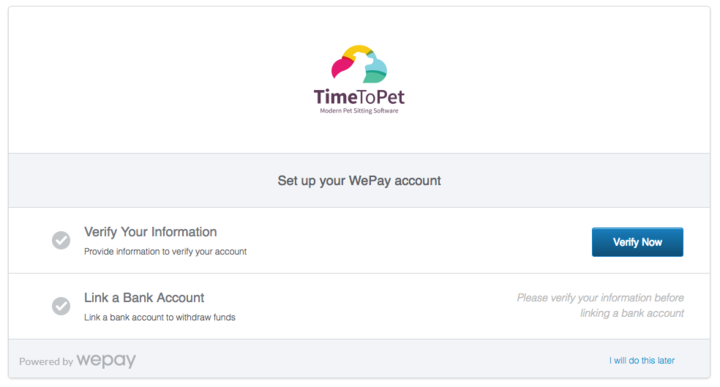 Next, set up your WePay account by verifying your information and linking a bank account. You can then chose whether or not you would like to accept Credit Cards, ACH/e-check or both. You can also set your Preferred Payment Type. You are now set up to receive payments via WePay!